An unarmed Iranian drone has flown directly over a US aircraft carrier operating in international waters and taken “precise” photos, according to state television in the Islamic Republic. The US military labelled the move “abnormal and unprofessional,” but said it posed no risk to the vessel. 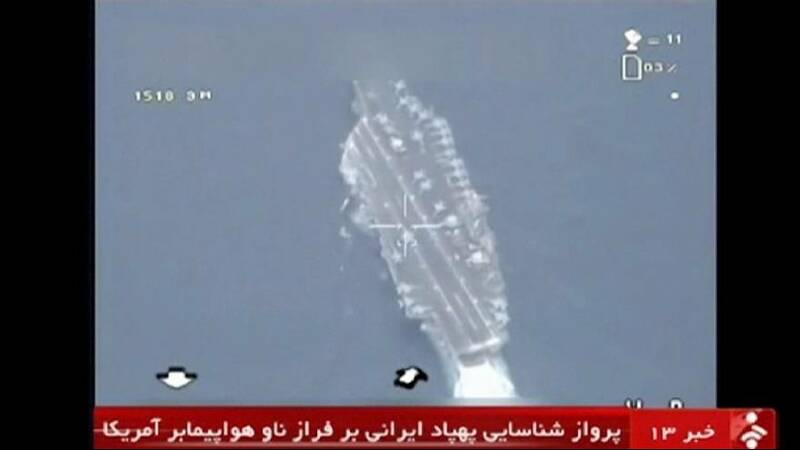 Images, purporting to show the USS Harry S Truman were broadcast and Iranian navy commander, Admiral Habibollah Sayyari, praised those involved in the surveillance mission. “It is a sign of bravery, experience and the scientific capabilities of our drone operators, which allowed our men to get so close to the warship and shoot such beautiful and accurate footage of the combat units of foreign forces,” he said. Iran claims the drone overflight formed part of a naval drill on Friday, January 29. US officials have only confirmed an incident occurring on January 12. On the same day, Tehran detained ten US sailors who said they had mistakenly strayed into Iranian territorial waters.